Both the Dance Royalty and her businessman beau shared a group photo led by their mothers Thelma Andres and Marilen Nuñez, respectively, in a special family dinner held last Friday, March 29. 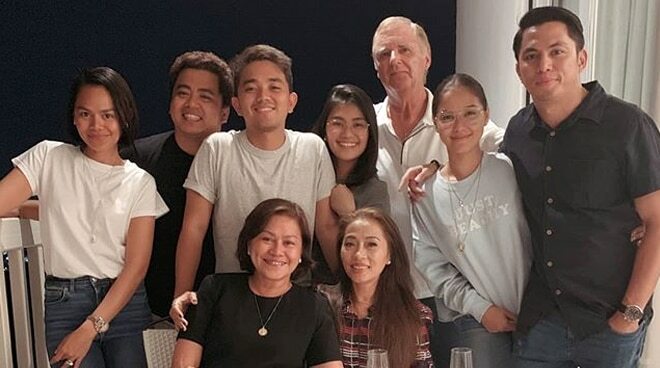 At long last, the families of Maja Salvador and her non-showbiz boyfriend Rambo Nuñez have been introduced to each other in a special family dinner last Friday, March 29. On Instagram, both the Dance Royalty and her businessman beau shared a group photo joined by their mothers Thelma Andres and Marilen Nuñez, respectively, as well as Rambo's sister Yanee Nuñez-Alvares, Maja's half-brother Kirby Andres, and her stepdad Roy Liklater. Following months-long speculations of a reconciliation, Maja confirmed that she's indeed back together with Rambo nine years after they first separated ways. The couple was last seen cozying up in Amanpulo, Palawan while on a vacation with the actress' family.